Two years ago today (Saturday 19th December 2015), ESA’s Gaia satellite was launched into space from South America by a Soyuz launch vehicle, operated by Arianespace (see previous MSSL Astro blog for more details. Gaia lifted off at 9.12am UTC (6.12am in French Guiana). On that day, many members of the lab watched the event live on TV and celebrated the successful launch with a champagne breakfast in the MSSL Common Room. One year on and we were back in the MSSL Common Room, celebrating Gaia’s first birthday in space with a fantastic Gaia-shaped cake, decorated to look like Gaia, made by MSSL chef Sue Ford (see previous MSSL Astro blog). Two years on and the launch anniversary falls on a Saturday so we are having a virtual celebration with this blog. 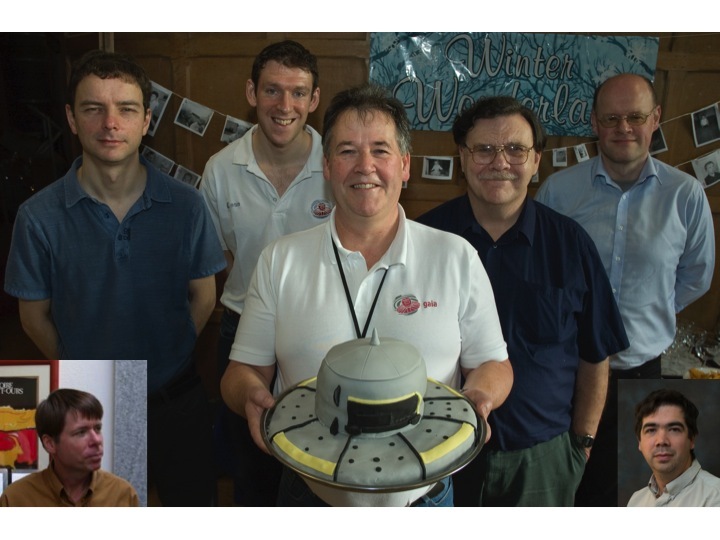 Figure 1: The MSSL Gaia team with Gaia (cake): (from left to right) Mark Cropper (inset), Chris Dolding, George Seabroke, Steve Baker, Howard Huckle, Mike Smith and Kevin Benson (inset). 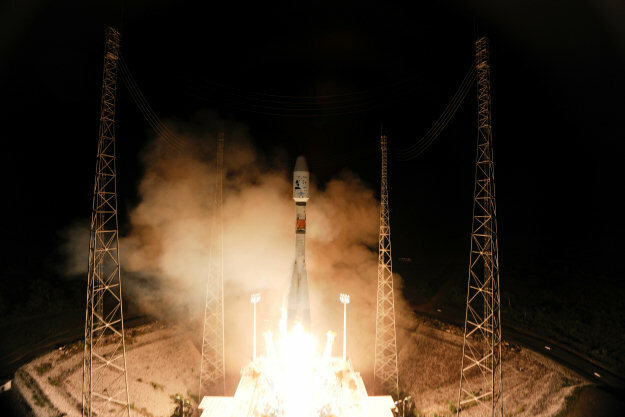 A year ago today (Friday 19th December 2014), ESA’s Gaia satellite was launched into space from South America by a Soyuz launch vehicle, operated by Arianespace (see a previous MSSL Astro blog for more details). Gaia lifted off at 9.12am UTC (6.12am in French Guiana). On that day, many members of the lab watched the event live on TV and celebrated the successful launch with a champagne breakfast in the MSSL Common Room. A year on and we were back in the MSSL Common Room, celebrating Gaia’s first birthday in space. Well, Gaia was launched successfully yesterday morning. I’ve been holding my breath to hear how each stage of the early operations has been going, and was relieved to learn from my ESA colleagues that the sunshield had opened successfully, that communications had been established, and that the internal launch struts which support the instruments on the service module had been cut away, leaving only the thin operational struts. These are both adequate in the zero gravity environment, and minimise the heat leakage from the service module to the instruments. All of these were essential steps. My name is Mark Cropper and I started working on Gaia in 2001, more than 12 years ago. My main interest has been the spectrometer on Gaia, called the Radial Velocity Spectrometer (RVS). 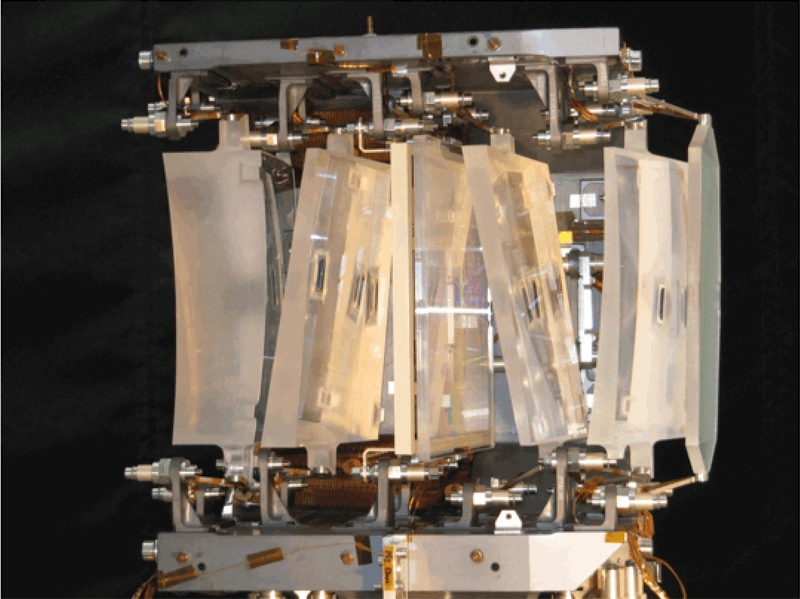 This instrument will provide measurements of one of the components of each star’s velocity, that in the line of sight, for more than 100 million stars, and also astrophysical information on up to 5 million stars – that’s temperatures, whether they are main sequence or giant stars, and their metallicity, which is related to which generation a star may be. RVS generates 100 spectra per second, and because it is quite a complex instrument, a lot of work has gone in to trying to understand all of the effects within it, such as that caused by protons from the Sun and further afield from the Galaxy. I have worked with ESA and Astrium in defining different concepts for the spectrometer (in the early days) and then helping to maintain the instrument performance when difficult choices had to be made as Gaia was built. 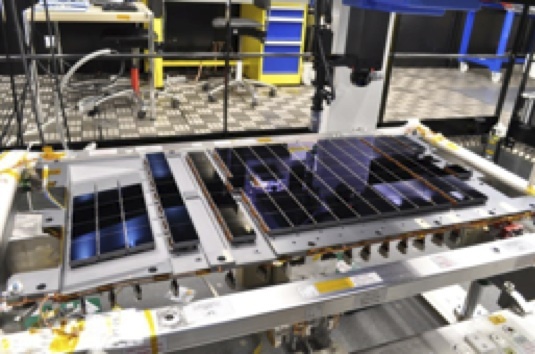 The group here at MSSL is also responsible for much of the data processing software for RVS, and especially the calibration of the instrument. 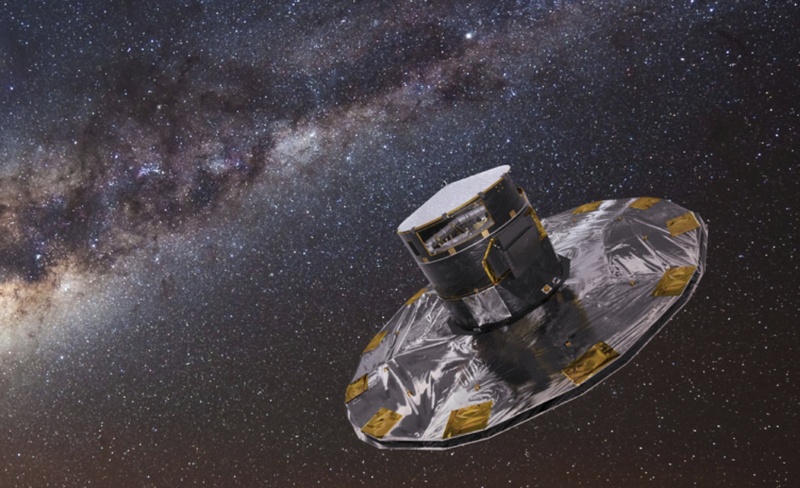 You can see more about our role in Gaia in a press release on the UCL website (http://www.ucl.ac.uk/news/news-articles/1213/171213-ESAs-Billion-Star-Surveyor-UCLs-contribution). Now we can take a few days off as Gaia is checked out, and as it outgasses and cools down to its operating temperature of -120°C. Towards the end of January the telescopes and instruments will have cooled, and we’ll start commissioning them. One of the first things to get right is the focus, and to check the levels of scattered light. Once all this is set, we’ll be able to make some preliminary observations and predict how well RVS will perform over the whole mission. It’s surprisingly moving to see something one has worked on for so long lift off to carry out its task in space. It’s the end of years of many of us working together on a shared goal. We’ve come from different countries and learned to value our different approaches to problems; we’ve travelled to so many meetings, and enjoyed conversations with each other in the evenings between working days. All of this will end now, and we’ll soon be into a new phase, where we are working with the data, trying to make sense of it and ensuring it is processed reliably for everyone to use. I’m glad to have a few days out now over this festive period between the past and the future.